The Reserva Natural Rincón Santa María protects the Near Threatened sickle-winged nightjar (Eleothreptus anomalus) and Nearctic migratory birds including common nighthawk, upland sandpiper, greater and lesser yellowlegs, and osprey. The reserve lies within the Southern Cone Mesopotamian savanna, a flooded grassland ecoregion of Argentina that is at risk. Invasive, exotic pine and eucalyptus trees are aggressively displacing native vegetation and changing the conditions required by a number of threatened species. Nestor Fariña, our point-person for the project, trained as a conservationist with Proyecto Selva de Pino Paraná. 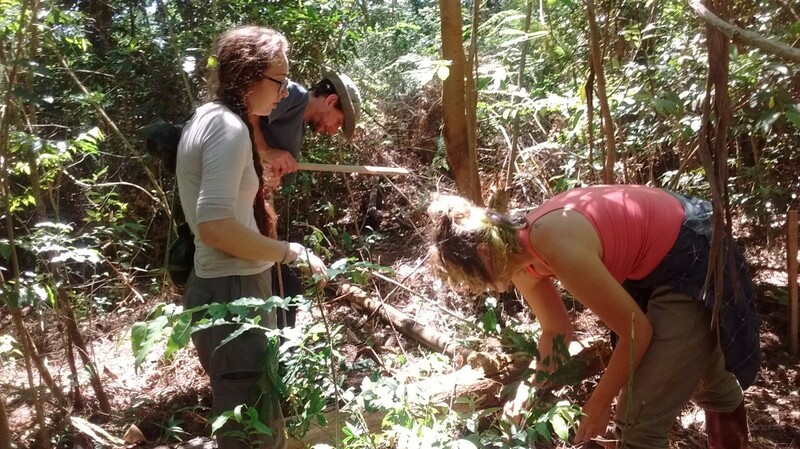 Our partner is a team of naturalists and volunteers working in the Reserva Natural Rincón Santa María. Park rangers Nestor Fariña, Olga Villalba and Lisandro Cardinale are the leaders of the effort, 11 staff have participated in this project and 20 university students have volunteered. Nestor Fariña, our point-person for the project, trained as a conservationist with Proyecto Selva de Pino Paraná. The Reserva Natural Rincón Santa María is located in the northeast of the province of Corrientes, Argentina. The reserve covers an area of 2500 hectares of Mesopotamian Savanna and small forest stands in intermediate ecological succession. The area boasts high ecological value due to its importance for endemic and migratory birds in particular. It protects more than 250 species of birds, 12 of which are globally threatened. Numerous nearctic migratory species spend part of the year on the reserve including the Upland Sandpiper (Bartramia longicauda), Greater and Lesser Yellowlegs (Tringa spp. ), Plubeous Kite (Ictinia plumbea), Mississippi Kite (Ictinia mississippiensis), Osprey (Pandion haliaetus) and Common Nighthawk (Chordeiles minor). A study that took place over a recent 5-year period put certain bird species in the spotlight for conservation concern, including some of those mentioned above. There is current research underway to better understand the population size and dynamics of the rare and poorly known Sickle-winged Nightjar (Eleothreptus anomalus), whose largest known population in Argentina is within this reserve. The reserve also protects an important population of Common Nighthawks (Chordeiles minor), whose breeding populations are known to have fallen precipitously in recent years, according to research by the Committee on the Status of Endangered Wildlife in Canada, Between the months of January and April, this species can be found on the reserve in some of the largest numbers observed on wintering grounds. The most significant conservation problem facing this ecosystem is the invasion of exotic pine and eucalyptus trees. They are aggressive competitors with native trees and change the humidity of the soil, an important feature of this ecoregion. This affects all native plant species, and the habitat available to the aforementioned bird species. Research has indicated that threatened bird species prefer to use and occupy the ecologically intact areas of the reserve, and are avoiding the areas that have been invaded by pine trees in particular. Numbers of both Common Nighthawk and Sickle-Winged Nightjar have decreased in the last 3 years, according to the surveys mentioned above. The spread of pines has reduced habitat for birds on the reserve and this project is striving to reverse that. Native tree seedlings & Native habitat restoration. In 2015-2016 Surveys of healthy forest stands within the reserve were completed to better understand the structure of the vegetation so it may be imitated in restored forest stands. 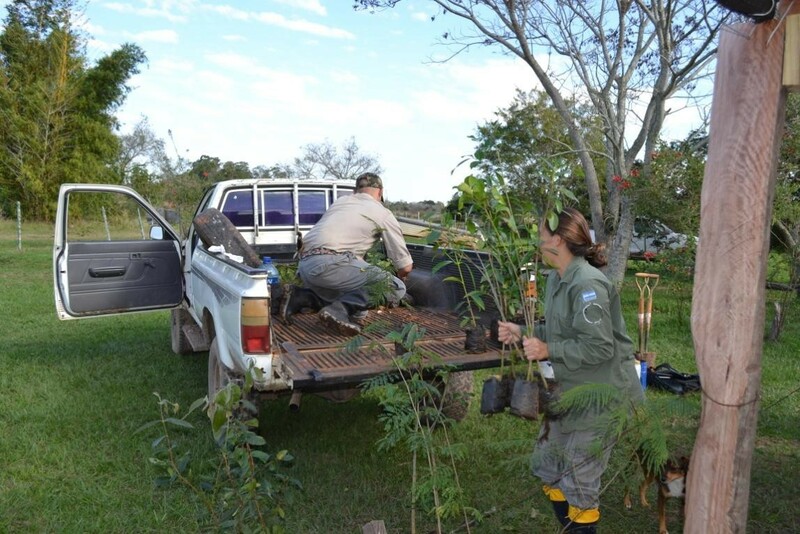 Staff and volunteers collected native tree seeds from the healthy native forest stands within the reserve. A nursery (with 5000 seedling capacity) was built in 2015. Since that time, over 6500 seedlings and saplings of 34 native tree species have been planted throughout the reserve in restored forest stands. Another 1500 seedlings remain in the nursery for use in the coming year. Restored forest surveys. 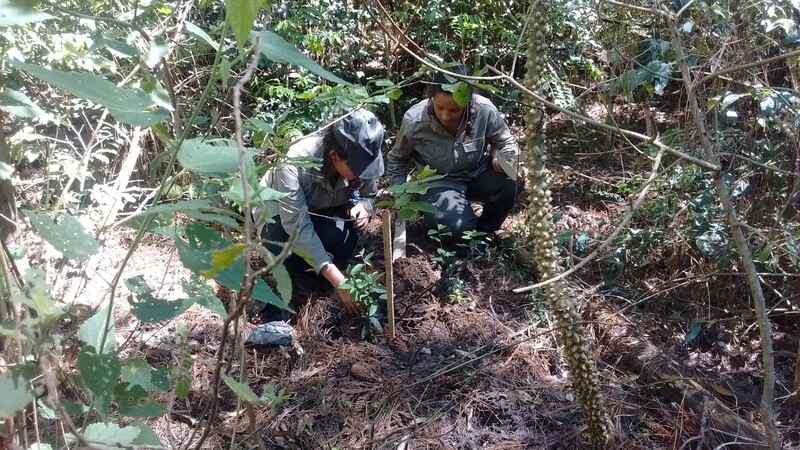 Planting, germination and growth success on restored forest stands is being monitored by project staff. Toward the end of 2017 they studied a stand where 473 trees had been planted in 2015. The team measured approximately 50% survivorship of the native trees and promising growth success, some measuring over 2 metres in height. 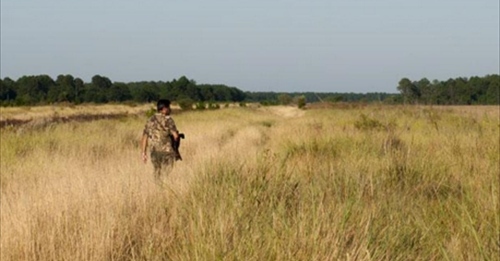 The team predicts that there will be visible results in the restored habitat on the reserve within 5-10 years. Invasive tree removal. Over 2015 and 2016, nearly 800 hectares of the reserve had exotic tree species removed by reserve staff, project staff and volunteers. This was a major undertaking as it requires travelling over difficult terrain with heavy equipment to cover such a large area. In 2017, the same area was covered again to eliminate all new exotic saplings or seedling growth. Also in 2017, the team is using an experimental control method on a designated parcel of land, by ringing the trunks of pine trees. 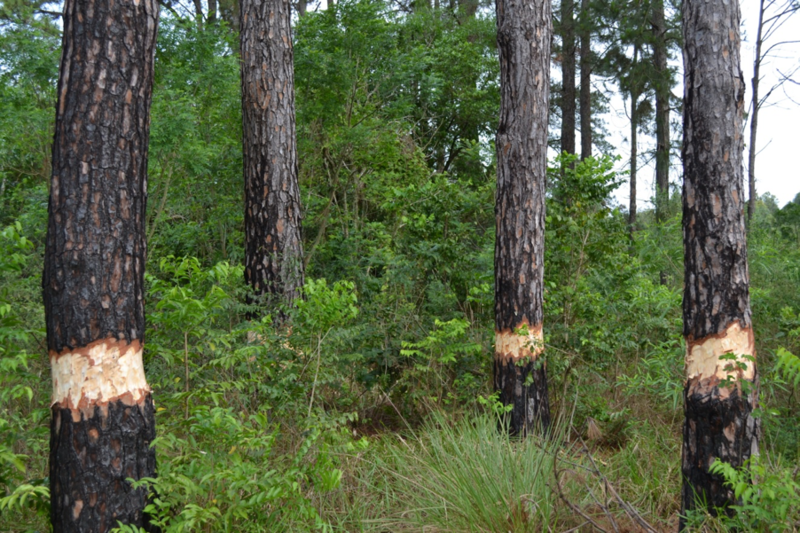 If successful, this method would reduce damage to native saplings in the undergrowth that may be killed by falling trees. Fauna surveys. To determine the wintering-site fidelity of the Common Nighthawk, researchers on the reserve banded a number of individuals in January 2017. To the team's surprise, the very first re-capture in December 2017 was one that was banded in January, thus emphasizing the importance of this habitat for the species. ICFC did not make any direct financial contributions to this part of the project, but some equipment purchased for other project components were used. Community outreach. A number of publications have been printed about the fauna of the reserve and projects taking place on the reserve to share with visitors. A guide to the reserve's amphibians is currently being produced, soon to be printed. 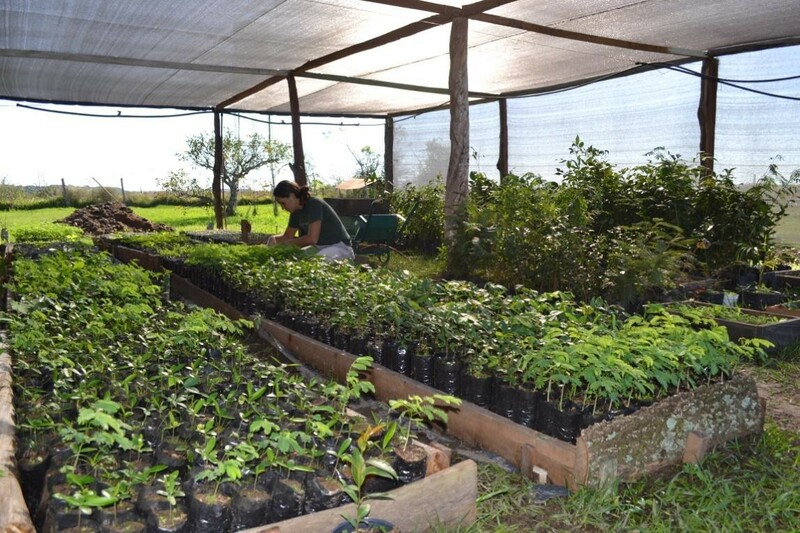 Additionally, education programs have been carried out in local schools and communities where native tree seedlings are gifted to those receiving the program.